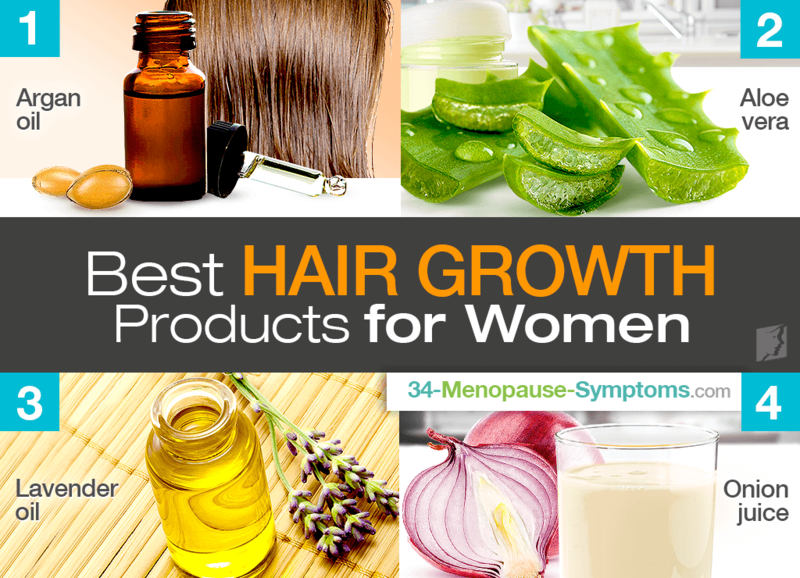 There is a multitude of hair products out there that claim to make your hair grow faster. The fact that considerably few of these are authentic treatments can be irritating, as well as an expensive mistake to make. It can be particularly upsetting to find that a given product does not do what it declares that it will. Many menopausal women experience some degree of hair loss at this stage in their life. However, there are a few natural ingredients that can be used to encourage healthy hair during menopause. This is often advocated by stylists for encouraging healthy hair and combating alopecia. It cannot provoke hair growth as such; however, if thoroughly massaged into the scalp, it will supply moisture and stimulate blood flow in this area, which will enhance the health of the hair follicles. Most menopausal women will have heard about the numerous benefits of this versatile plant, but one of its lesser known uses is for treating hair loss. It has not been scientifically proven to enhance hair growth, but historically, it has been suggested as a worthwhile method. This is possibly because it contains compounds that support and protect skin cells, which are necessary for a healthy scalp. Many people simply value this plant for its pretty aroma and color; however, it should be noted that it is also a promising treatment for stimulating hair growth. Recent studies have confirmed its worth for this application, and as a consequence, there is an increasing amount of lavender-based products on the market. Although this is probably the least favorable option for many menopausal women, studies have shown that applying a substance derived from onion juice can be effective therapy for alopecia. Because of its undesirable smell, there are few marketed products, but it is simple to create a mixture at home. These are just four of the many ingredients out there which have been recommended for fast, natural hair growth. Different hair stylists and herbalists may suggest others, and these could also be effective - it really just depends on your own personal hair consistency and scalp health. While it is important to sustain moisture in your hair, these treatments should not be applied too often, because they can deter the presence of natural hair oils that are exuded from the scalp. Hair loss affects many women, and can have a range of causes. Keep reading to learn about the available treatments for hair loss. Some hair products may actually cause hair damage, scalp irritation, and hair loss.